The 2017 Tokyo Motor Show was notable for the increasing number of autonomous car concepts emerging from the lab into what manufacturers expect to be an almost completely computer-controlled future. Most of these machines came from Japanese manufacturers, keen to demonstrate their technological sophistication once more, but there was a strong showing from the Germans. Volkswagen, Porsche, Audi, BMW and Mercedes all had a big presence, but it was the latter that truly embraced the Tokyo aesthetic. 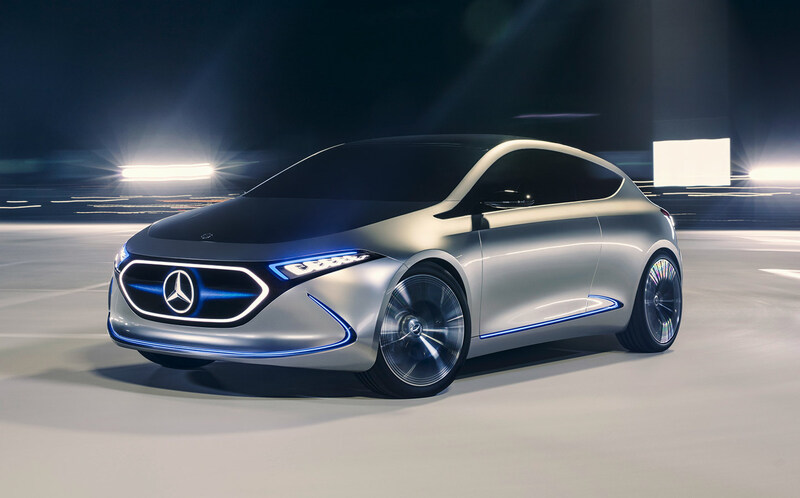 The new Mercedes-Benz Concept EQA was paired up with the Smart Vision EQ Fortwo to showcase Daimler’s vision of autonomous electric urban driving. 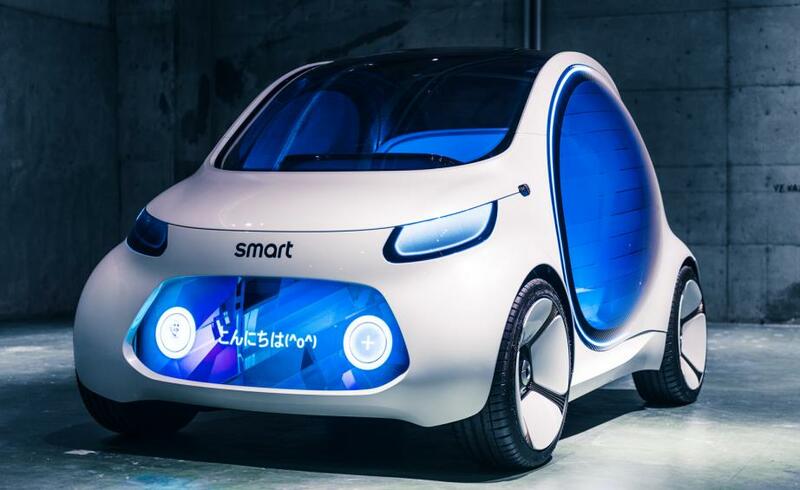 The latter car is an enhanced vision of the next-generation smart car. After spending a week in the company of the most sophisticated smart on the market – the Smart Fortwo Cabrio electric drive – it’s hard to see how much more the experience could be improved. Stripping out the Smart’s tiny engine in favour of an electric motor doesn’t do it many favours in terms of weight and ride, but the diminutive machine has a bit of zip. The tiny turning circle makes you the master of the dead end, while the open roof gives you all the urban feedback you’ll ever need. The go-kart qualities of the smart make urban driving a breeze, so it’s hard to see how autonomy could enhance it. 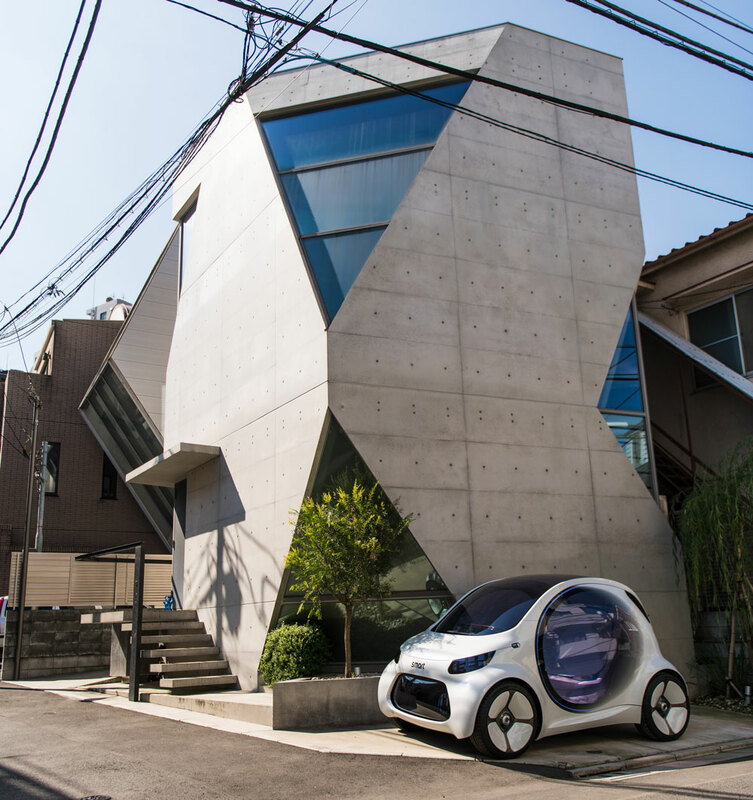 The company took the opportunity of displaying its cars against the neon-drenched backdrop of downtown Tokyo, with a quick detour to showcase the smart concepts alongside Atelier Tekuto’s iconic concrete house. These are appropriate spots for small city cars, especially with their information-dense interiors and exterior screens that will all add to the urban tapestry. 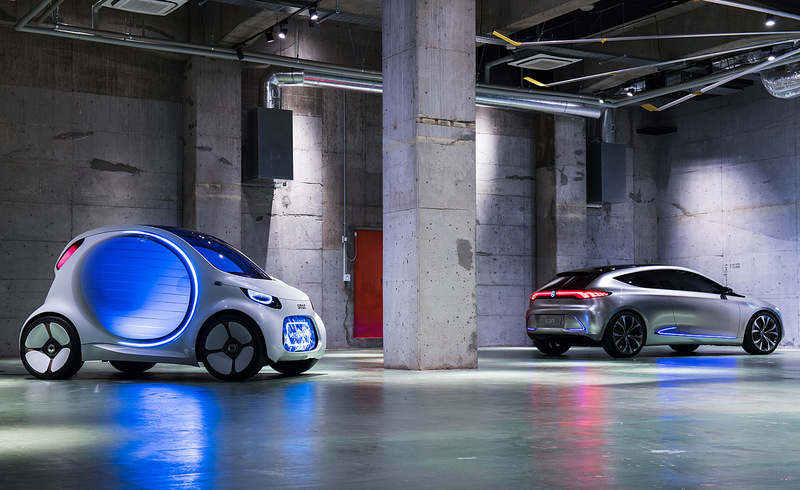 W*: How central will autonomous driving be to the Mercedes-Benz of tomorrow? KB: At Mercedes-Benz we are developing self-driving cars in two different ways. We pursue the evolutional approach by progressively increasing our driver assistance systems step-by-step. The new S-Class for example is another major step towards autonomous driving with new and significantly expanded driver assistance systems. The other way is to develop self-driving functions right away – the revolutionary approach so to speak. Imagine a car2go that comes to you whenever you need one or automated valet parking, where your car parks itself in a parking garage while you are in the elevator to your meeting already. This idea represents the new Smart Vision EQ Fortwo. W*: Which cities do you see adopting autonomy first? KB: At the moment we are testing different traffic situations all over the world, or to be precise: in five different continents with our Intelligent World Drive. Driving in Frankfurt, Shanghai, Sydney and Melbourne, Johannesburg and Los Angeles gives a very good impression which challenges an autonomous driving car has to face. Traffic lights for each lane, traffic signs with text, pedestrians, bicyclists, buses, trams, specific rules for each country or even each city. Therefore there is still a long way to go, before autonomous driving will be a daily routine in inner city traffic. W*: What aspects of autonomous driving will be the most beneficial? KB: For Mercedes-Benz autonomous driving means more comfort, more safety and more time for the customers: In the future they do not need to drive anymore in boring or stressful situation like the daily commuting to work or on long distance highway trips. While the car is doing the driving they can relax and use the time for other things like reading, watching movies or working. Another beneficial aspect of autonomous driving may be that user who are today not able to drive because they are disabled, too young or are just feeling insecure and uncomfortable with the daily traffic can use the comfort and safety of an autonomous driving car, some of them for the first time, some of them again. W*: How will design – interior and exterior – accommodate these changes in how we use and perceive cars? KB: There will be plenty of new opportunities especially in interior design. The Smart Vision EQ Fortwo is the first car from Daimler without any steering wheel. Its interior design focuses on space, privacy and seamless entertainment. In the exterior visual communication will be key. While the smart communicates with its headlights and a colourful display in the front, the Mercedes-Benz F015 luxury in motion can even project information for pedestrians via laser onto the street. W*: Will autonomous driving work across all sectors of the market? KB: We believe that autonomous driving affects all sectors. Therefore within the Daimler AG we work together across all division: we introduced the autonomous driving truck with Highway Pilot, last year in Amsterdam we presented the autonomous driving bus, in 2015 Mercedes-Benz Carsshowed with the F015 Luxury in motion their vision from an autonomous driving car that also communicates with its environment. But you even do not need to own a autonomous driving car in the future: with the Smart Vision EQ Fortwo we recently showed how the future of car sharing can look like.